Make a keepsake quilt for the graduates in your life! This quilt finishes to 34 1/2" to 34 1/2". Panel included is available in black ink on natural or white 100% Kona cotton fabric. 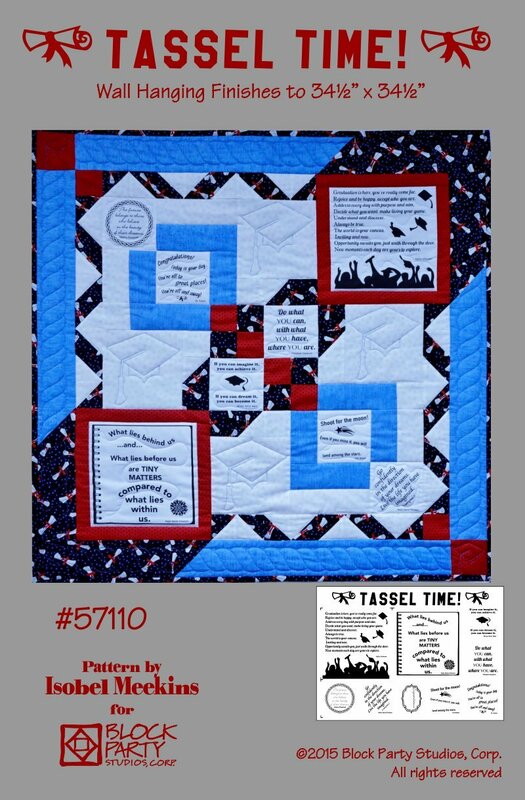 This item includes the Tassel Time pattern and panel.